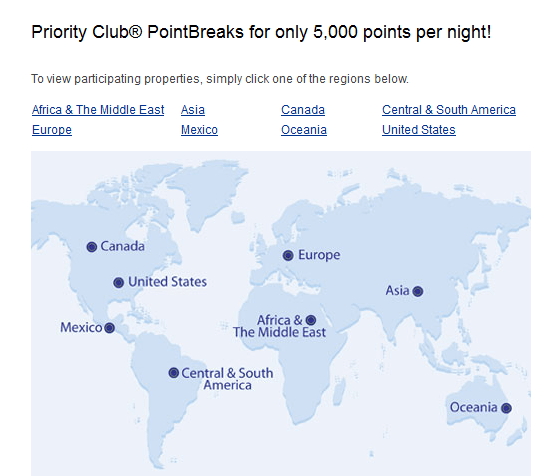 New Priority Club PointBreaks lists should be out soon (this week?)! The talk this month has been all about changes to the Priority Club award chart. But, since the current PointBreaks list is set to expire on 31JAN my guess is very soon we will see a new list out. The 5000 point nights are some of the best values in rooms at quality hotels.